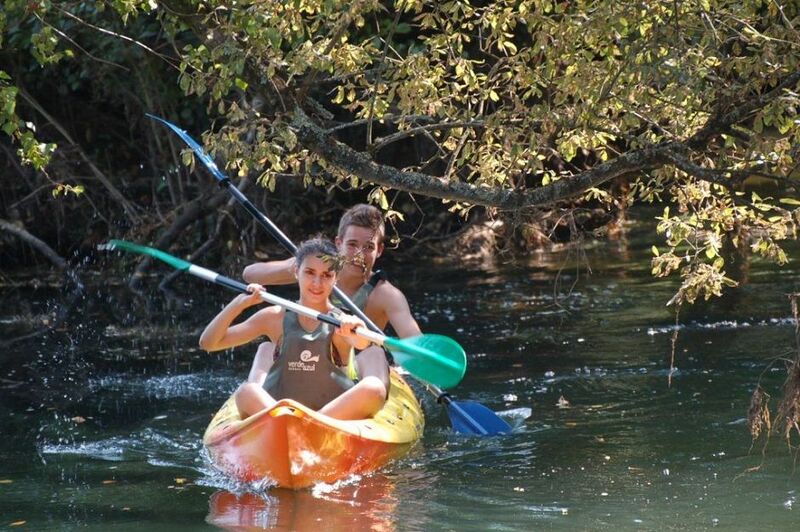 Kayaking in Galician largest River. The Minho. 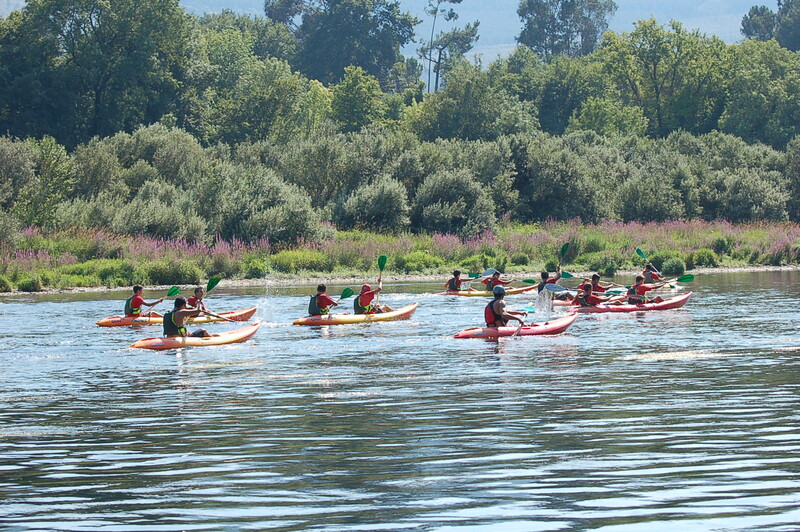 Explore the nature in Galicia and connect with the real world. 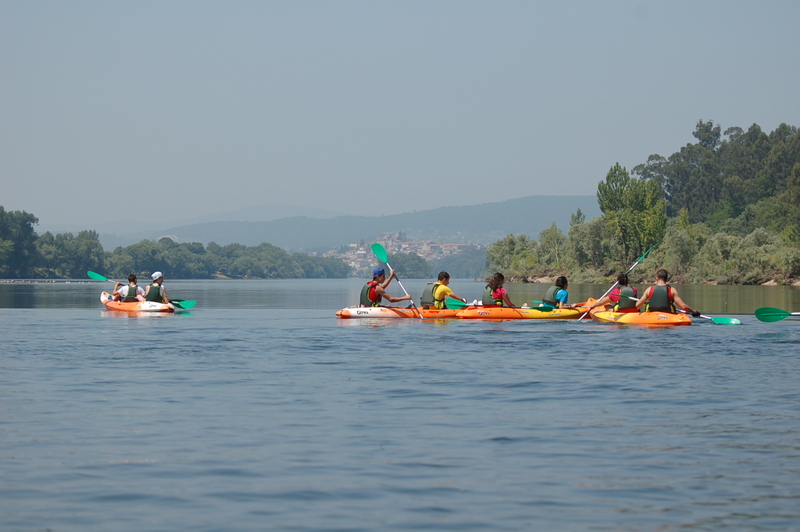 We operate trips throughout South Galicia at a wide variety of stunning locations. 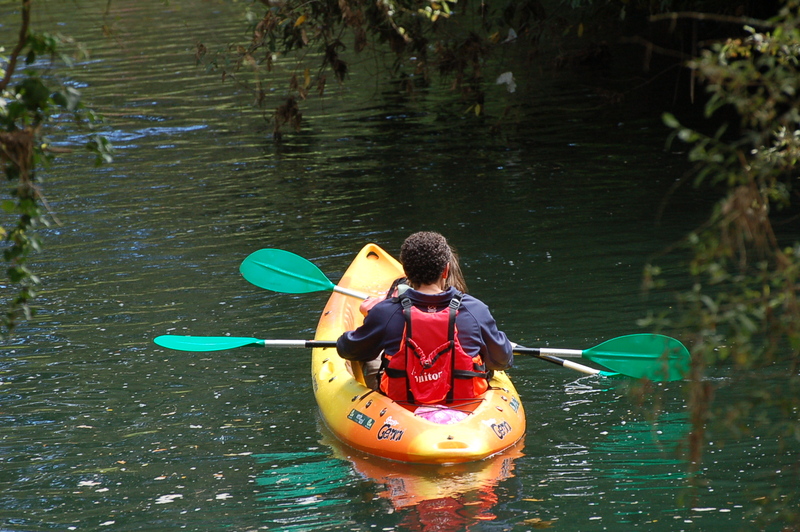 Many of the trips are ideal for an introduction to flatwater kayaking and no experience is required to take part. Please feel free to get in touch should you have any questions regarding a particular trip or location. 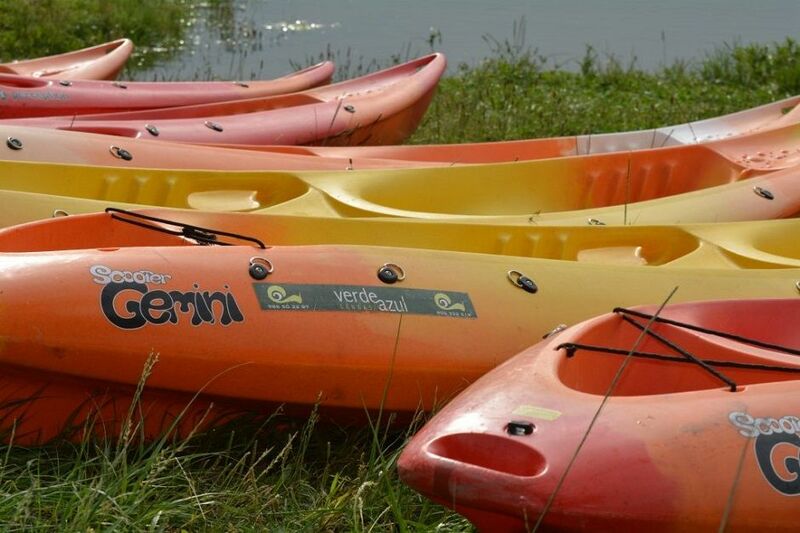 We supply all kayaking equipment including: Sit on top kayak, paddle, wetsuit and buoyancy aid. 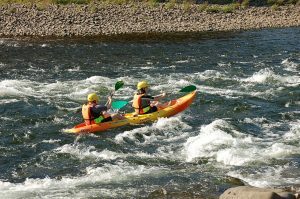 The river kayaks we use are stable and easily driven craft, we also provide a waterproof barril for your kit. 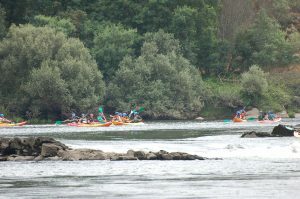 The plan for this trip is to meet up in Verdeazul Adventures Station in Tui in the morning and after loading your kayaks and rest of equipment we will make our way round into Salvaterra the Minho, we will reach the international Bridge 16 km up to the river where you start your full day downriver trip. Duration: 3 hours paddling, ideal to spend the whole day, you are wellcome to enjoy the river beaches, have a relaxing swim, sunbathing and have an outdoor lunch in a river island. Price: 25€ per person,adults and over 12 years and 12.5€ children under 12 years. A 7 km kayak trail that starts at the shore of Caldelas de Tui, at the foot of the Hot Springs Spa, runs through many beaches, river islands and the backwater of "Cunquedo" until arriving at the Arenero Beach, from which we will contemplate A spectacular panoramic view of two fortress cities, Tui and Valença do Minho. 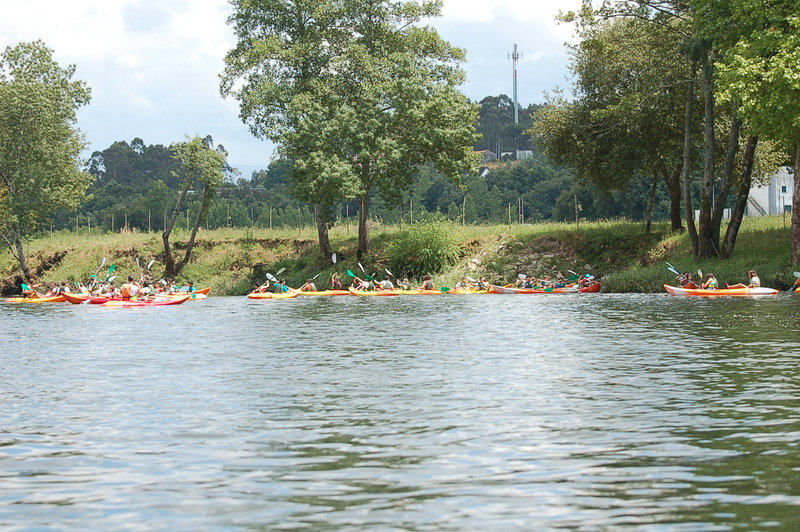 Interest of the route: Natural landscape and historical. 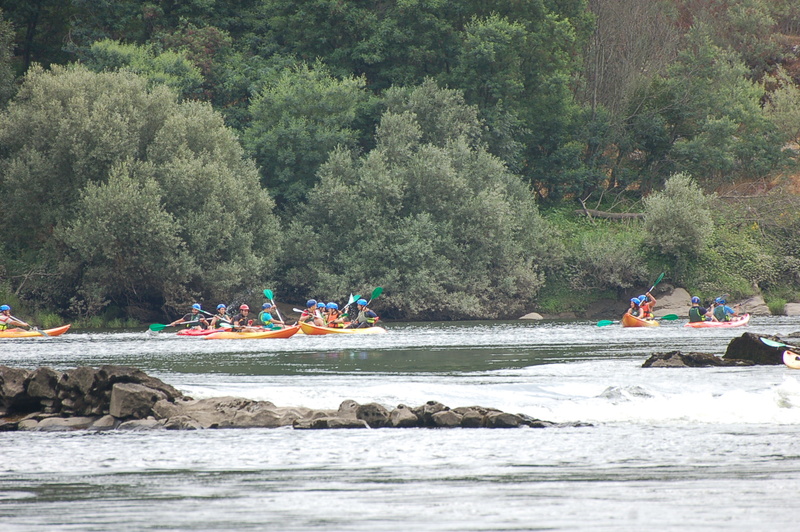 The Miño river marks the natural border with Portugal throughout our route. 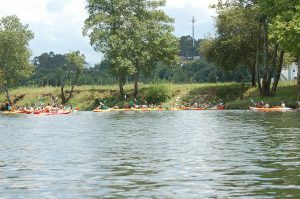 During the trip we will have opportunity to observe groups of wild ducks and herons that nest in the calm meanders of the river. From the river we will get a spectacular view of the two medieval cities that with their facing fortresses that will take us back to ancient times. The point of contemporaneity is the nexus of the two countries through the international bridge designed and built by a disciple of Eiffel in the late XIX Century. Duration: 1h 30min, half day. Level:low, ideal for families and all kinds of groups. 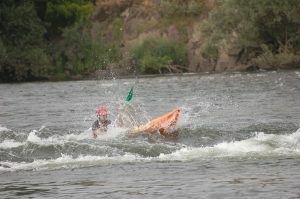 Price: 20€ per person,adults and over 12 years and 10€ children under 12 years. This course is for participants who may have previously come on one of our trips and want to focus more on boat handling skills. 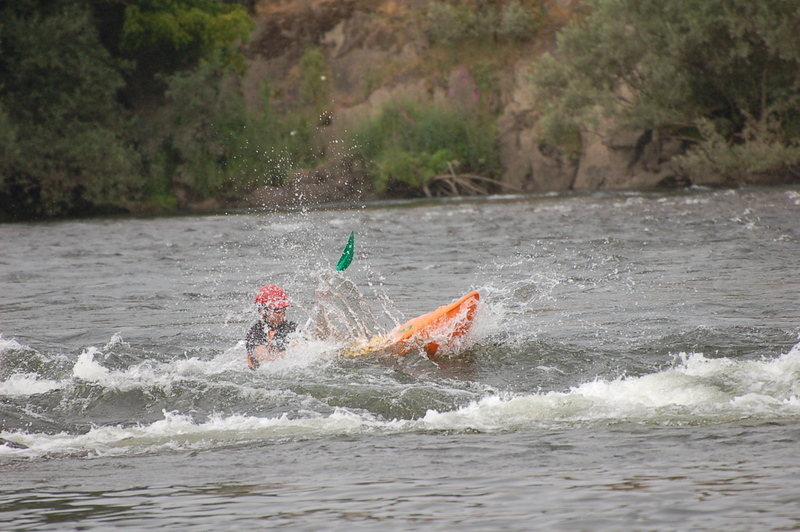 We will continue to work on white water skills. Price: 30€ per person. A minimum of 6 people is required to book the activity, guided tour. Way that runs through the estuary of the Miño River, we leave from the beach of Eiras (O Rosal) and we enter by the river Tamuxe. Landscapes of great beauty, with great sand and hundreds of different species of birds and reptiles that coexist in a sedimentary ecosystem. We can feel the saline breeze from the Atlantic. Duration:Whole day. The beaches and views of the estuary are so impressive that you can go the whole day between baths, discover the islands, observe the coastal fauna ... and a well-deserved nap in a good shade. 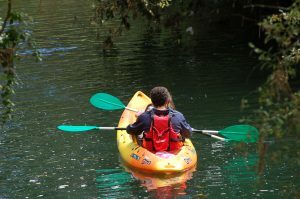 If you are someone who likes to do things your way, you have the option of renting one or two seater self-emptying kayaks so you can enjoy the river at your own pace. 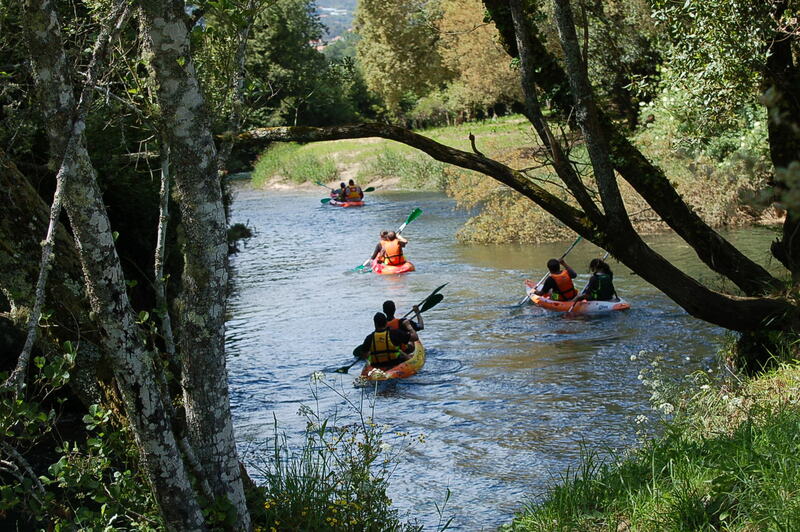 From our activity center, located on the banks of the Miño, you can go down to the river how and when you want! 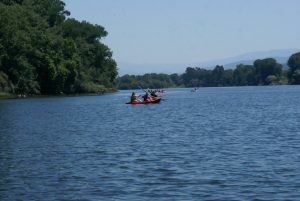 This is a very quiet area, from which you can easily access any of the two banks of the river by kayak; contemplate the impressive views of the International Iron Bridge that connects the two countries or simply relax and let yourself be carried away by the adventure of kayaking on the river. 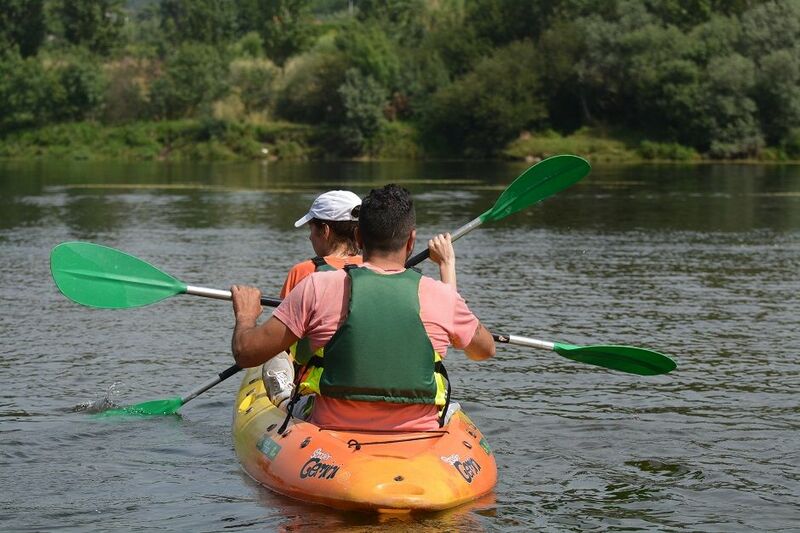 Do you want to reserve your kayak down the Miño River?